Mysterious! 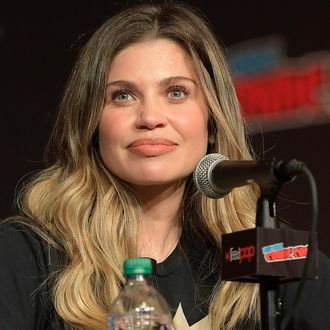 Fishel chimed in with only slightly more detail: “Yeah, we’ve developed an on-camera show that we are shopping currently.” Whatever it is, the Boy Meets World fandom (by which we mean vulture.com) confirms they will definitely watch it. Since finishing Boy Meets World, the trio discussed their varied careers which included voice-over acting (Will), attending college (Danielle), and eating a lot of Fiber One (Ben), and, of course, coming back to work on Girl Meets World. But it may not be the only revival we see. After one fan expressed disappointment at the lack of Cory-Topanga-Eric action in the Disney Channel iteration and joked that they could always do “Grandma and Grandpa Meets World,” Savage had this to say: “I think that some people have wanted a show about Cory and Topanga and Eric now. Which we could still do.” So, class … not dismissed?